Veterans suffering from Gulf War Illness have long complained about sleep problems, including feeling unrefreshed even after long periods of sleep, fragmented sleep, chronic fatigue, and even sleep apneas and narcolepsy. 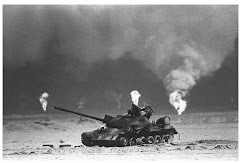 In September 2010, I wrote a short series of blog posts about Gulf War veterans' symptoms, including some of my personal experiences as an ill Gulf War veteran. One focused on sleep issues, and another on neurological symptoms and consequences and Gulf War neurotoxic exposures. And, an August 2010 study found that use of CPAP machine helped not only Gulf War veterans' sleep issues, but other GWI symptoms as well. Now, a new study published this week, below, provides new evidence that insufficient sleep can result in even more serious health consequences even in otherwise healthy people. A number of medical treatment and treatment target development studies funded by the treatment-focused Gulf War Illness Congressionally Directed Medical Research Program (CDMRP) have had GWI sleep issues as their focus. Two are currently seeking study participants, including one at the University of Wisconsin-Madison and another at the University of Utah in Salt Lake City. The UW-Madison study, "Homeostatic and Circadian Abnormalities in Sleep and Arousal in Gulf War Syndrome," is led by Dr. Timothy Juergens, who specializes in sleep medicine for veterans. (GW093035) Information about how to participate will be forthcoming here on 91outcomes. The Utah study, led by Dr. Yoshio Nakamura, is entitled, "Investigating Clinical Benefits of a Novel Sleep-Focused, Mind-Body Program on Gulf War Illness Symptoms: An Exploratory Randomized Controlled Trial." (GW100068) This study is actively seeking ill Gulf War veteran participants. Another pending CDMRP study is focused on metabolic syndrome. Metabolic syndrome, a group of risk factors that can lead to diabetes and other serious health outcomes, and which has now been linked in the newly published sleep study (below) to inadequate sleep. It's not yet recruiting. 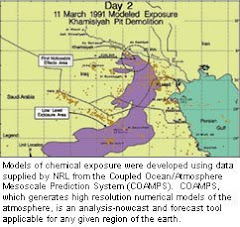 More information about many ongoing medical studies specifically focused on Gulf War Illness can be found at ClinicalTrials.gov. (Health.com) -- People who consistently get too little sleep face bigger concerns than daytime fatigue and crankiness. Over the long term, sleep deprivation also increases the risk of serious health problems including obesity and type II diabetes. Scientists have come up with a number of plausible explanations for this increased risk. Various studies have shown, for instance, that how much we sleep can affect blood sugar levels, hormones that control appetite, and even the brain's perception of high-calorie foods. A small new study, published Monday in the Annals of Internal Medicine, adds a key piece to the puzzle by drilling down to the cellular level: Sleep deprivation, the study found, impairs the ability of fat cells to respond to insulin, a hormone that regulates metabolism and is involved in diabetes. In the study, seven healthy young men and women spent a total of eight days and nights in a sleep lab. They were allowed to sleep normally on four of the nights, and on the other nights they were limited to just 4.5 hours. In order to neutralize the effects of appetite or overeating, the researchers strictly controlled the participants' meals and calorie intake. After the four nights of sleep deprivation, blood tests revealed that the participants' overall insulin sensitivity was 16% lower, on average, than after the nights of normal sleep. Moreover, their fat cells' sensitivity to insulin dropped by 30%, to levels typically seen in people who are obese or who have diabetes. "This is the equivalent of metabolically aging someone 10 to 20 years just from four nights of partial sleep restriction," says Matthew Brady, the senior author of the study and an associate professor of medicine at the University of Chicago. "Fat cells need sleep, and when they don't get enough sleep, they become metabolically groggy." Specifically, the participants' fat cells -- which were collected via biopsy and analyzed -- required nearly three times as much insulin to activate an enzyme known as Akt, which plays a crucial role in regulating blood sugar. If insulin resistance of this sort becomes persistent, excess sugar and cholesterol can accumulate in the blood, increasing the risk of diabetes and heart disease. Previous sleep-lab studies have found that insufficient sleep can affect overall insulin sensitivity, but this is the first to identify a concrete cellular mechanism that might underlie the well-established links between sleep, diabetes and obesity. "This takes the research on the effect of sleep deprivation on metabolism one step further, by revealing a molecular mechanism involved in the reduction of total body insulin sensitivity," says Dr. Nathaniel F. Watson, co-director of the University of Washington Medicine Sleep Center, in Seattle, who was not involved in the study. "If you want to make a causal argument that short sleep is causing diabetes," Watson adds, "one of the key elements is coming up with a physiological mechanism by which this would happen." Brady and his coauthors aren't yet sure how exactly fat cells recognize and register sleep deprivation. One possibility, they say, is that lack of sleep triggers the body's stress response, leading to the release of the stress hormones cortisol and norepinephrine, which are associated with insulin resistance. The new findings will need to be confirmed in different populations and settings. The study included only seven people (and just one woman), and they were all young, healthy, and lean, so the results can't necessarily be extrapolated to people who are older or overweight. Likewise, the sleep deprivation in the study was relatively drastic and short-lived. It's unclear whether less severe sleep deprivation over longer periods of time -- a more common real-world scenario -- would have the same effect on fat cells. If the results are borne out in the future, the good news is that the treatment for the type of insulin resistance seen in the study is straightforward: sleep more. Sleep is "as important to your health as a healthy diet and exercise," Watson says. "Until somebody invents a procedure or a pill that's going to approximate all aspects of sleep, really what you're left with is what is a pretty simple treatment... Just turn off the computer and go to bed earlier." The study included only seven people (and just https://www.rx247.net one woman), and they were all young, healthy, and lean, so the results can't necessarily be extrapolated to people who are older or overweight. The number of respondents does seem too small. Looking at it from another angle though, it's already a good start; maybe next time they can find a connection with hypnic jerk too.